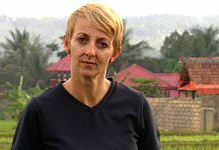 Sally Neighbour is an award-winning investigative journalist, author and leading Australian commentator on terrorism, Islamic extremism and security related issues. Sally is best known for her work as a reporter with Australia's premier investigative public affairs program, ABC TV's 4 Corners, which was recognised by three Walkley awards for excellence in journalism. She has also written extensively for The Australian newspaper and The Monthly magazine. 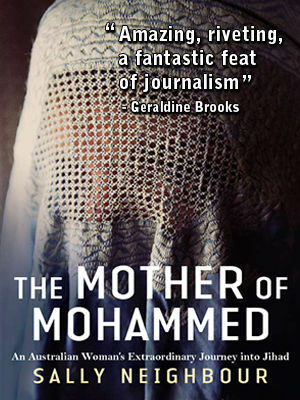 Sally's most recent book is 'The Mother of Mohammed: An Australian woman's extraordinary Journey into Jihad', published in May 2009 by Melbourne University Publishing. It tells the remarkable story of Muslim convert Rabiah Hutchinson, who grew up in Mudgee, New South Wales, and later spent twenty years on the frontline of the global Islamist struggle in Indonesia, Pakistan, Egypt and Afghanistan, where she married a senior al Qaeda strategist, Mustafa Hamid. 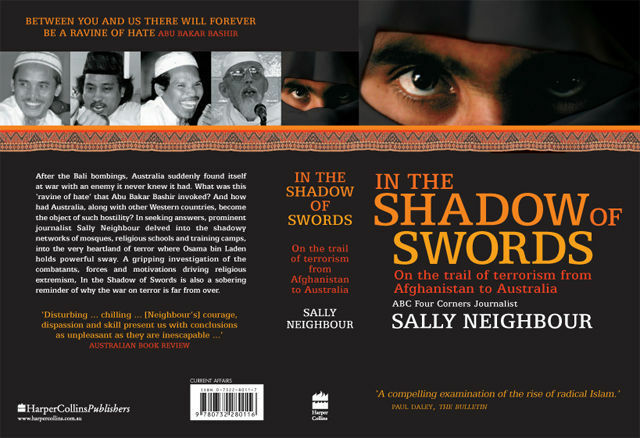 Sally's previous book was 'In the Shadow of Swords: On the Trail of Terrorism from Afghanistan to Australia', published by Harper Collins in 2004, which examines the rise of the Indonesian Islamist group, Jemaah Islamiyah, and its role in the 2002 Bali bombings and subsequent terrorist attacks. It won the 2005 NSW History Prize, and was named by The Economist magazine as one of the best books of 2005. Sally has spoken and lectured at courses and conferences around Australia and the world, in conjunction with the Australian National University, the University of Sydney, the Royal Australian Naval College, the New South Wales Police, the Australian Institute of International Affairs, the United States Deputy Director of Intelligence for Analysis, the US Center for Strategic and International Studies, the Centre for Excellence for National Security in Singapore, and the Radcliffe Institute for Advanced Study at Harvard University. She is currently a freelance reporter, editor and author, based in Sydney.